Why Do You Need to Fertilize Trees and Shrubs? 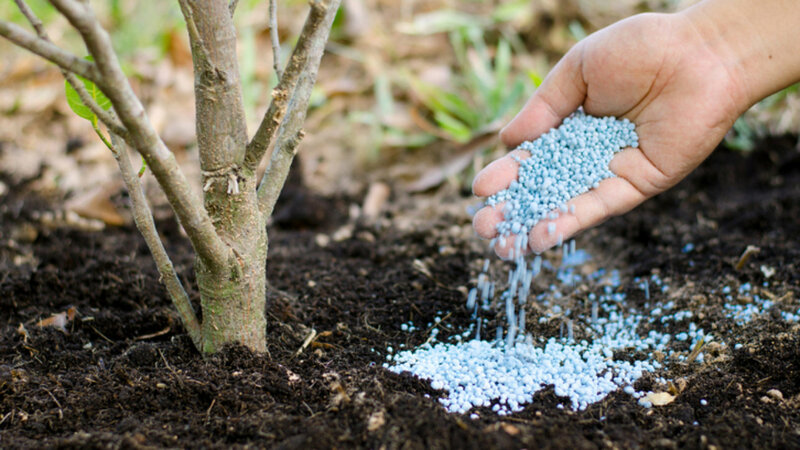 Why Do You Need to Fertilize Trees and Shrubs? Keeping your trees and shrubs healthy will ensure the beauty of your yard, and help them to leaf out and flower attractively in the spring. Healthy trees and shrubs are also less prone to limb breakage, disease, or total loss. Having said that, you might wonder why trees and shrubs occasionally need deep fertilization. Don’t established root systems ensure adequate nutrition for these larger plants? In general, it should work that way. But over the years, numerous events can damage the roots of trees and shrubs, and they might need a bit more care and revitalization. Removal of debris. In a natural setting, decaying leaf litter or grass clippings would provide nutrients to the soil. But since we tend to clean up materials like those in our yards, trees and shrubs don’t necessarily receive the nutrition they might otherwise. Construction. Sometimes, construction of new structures around your home can disrupt a tree’s root system. This is especially true for swimming pool installations, which require digging deep into the ground. Keep in mind that tree root systems extend far beyond the base of most trees, so you don’t even have to dig next to the tree in order to disturb its roots. Soil compaction. Repeatedly driving over an area will deprive the soil of necessary gas exchange. This might be a problem for you, if you routinely park an extra car in the yard, for example. Drought and heat. Severe weather patterns can distress smaller plants in one season; over time, larger shrubs and trees can be impacted as well. At times, it is necessary to deeply fertilize trees and shrubs with a slow-release treatment that will nourish the tree for about a year. Your chosen fertilizer should be high in nitrogen, phosphate, and potassium. This type of fertilizer will not only feed trees and shrubs, but also encourage the development of underground mycorrhizae (beneficial fungi which help trees stay healthy). Ideally, you would apply a deep fertilization treatment before stress and illness damage your trees. But if you do find that it’s too late, and trees appear damaged, give us a call right away. We can help you assess each tree’s health status, and make recommendations for pruning or removal when necessary.